Welcome to our monthly celebration of nature and photography! We hope you enjoy this issue's selection of jokes, trivia, photos and news. 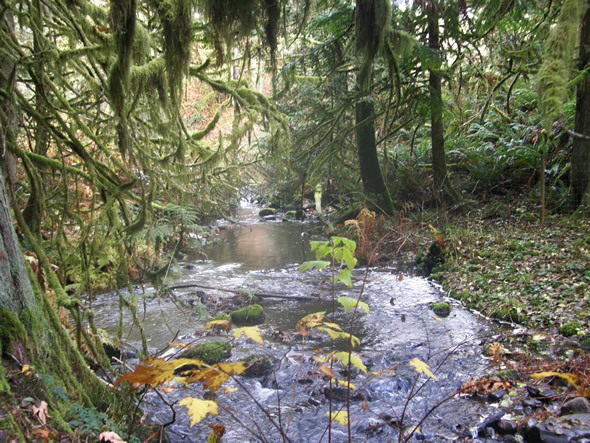 A meandering stream flows through a lush temperate rain forest. What is the world's most massive living thing? You'll find the answer at the end of this newsletter. 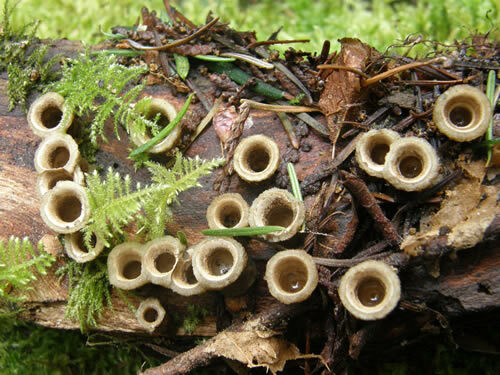 Here's another mystery image to test your nature identification skills. 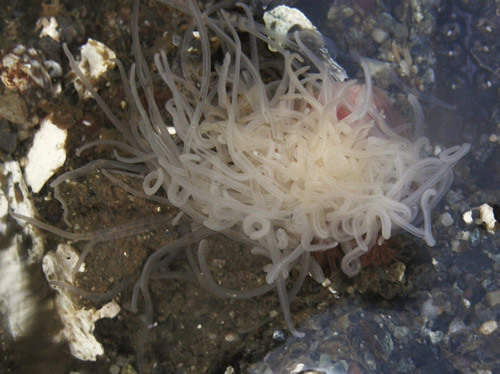 along with hundreds of other fascinating creatures and plants. 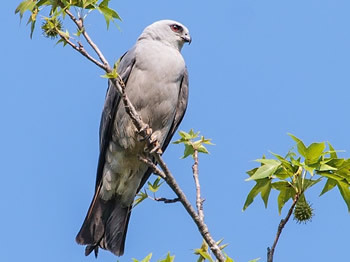 Judy Howle of Columbus, Mississippi, sent us this picture of a Mississippi Kite. 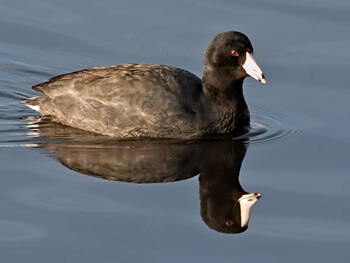 Judy also sent in this coot image. 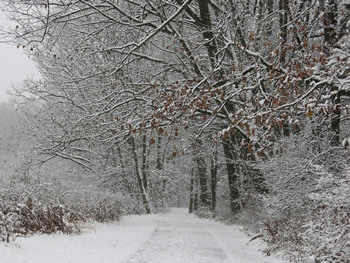 Susan Asis Kalman of Allegany, New York, sent us this images of Allegheny River Valley Trail. 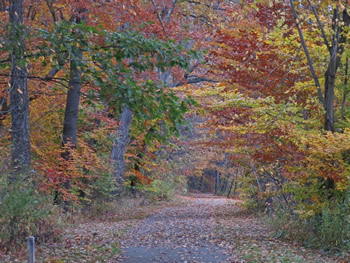 Susan also sent us one of the trail taken later in November. William Snyder of Salem IL. 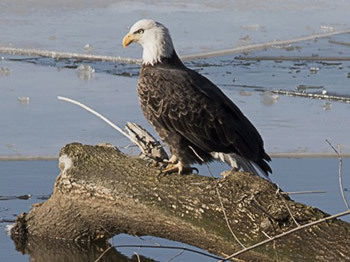 sent in this bald eagle picture taken on the Mississippi River. 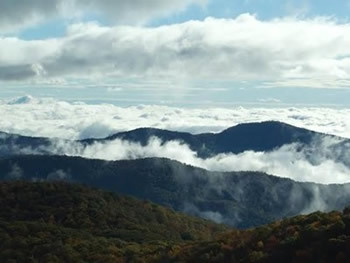 William also sent us this gorgeous view from the Blueridge Parkway. Many thanks to Judy, Susan and William for these great images. 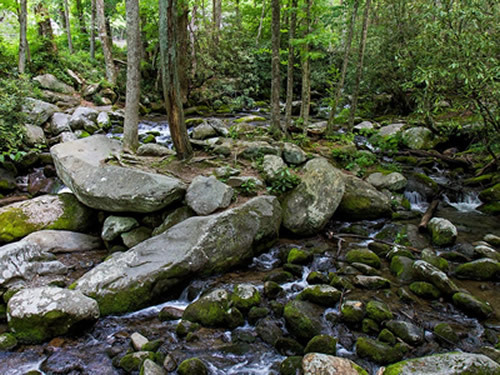 If you have a nature image for this section, please let us know!. 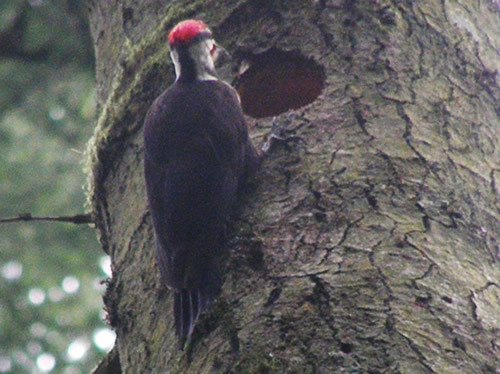 While wandering in the woods, a Pileated Woodpecker was spotted creating a nest hole. What do you think would be a good caption for this photo ? #1 - "It's alright. Don't worry. I can get down!" #2 - "This isn't your tree is it?" and sent in this image for us all to enjoy. 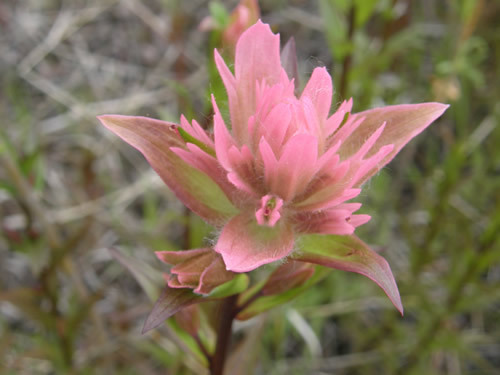 The Thin-leaved Owl's Clover, Orthocarpus tenuifolius, looks a lot like a Paintbrush. 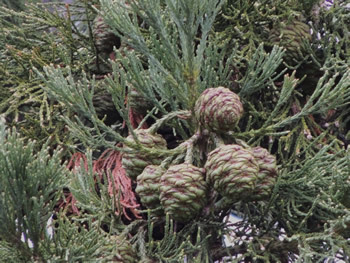 which refers to the seed capsule of the plant. 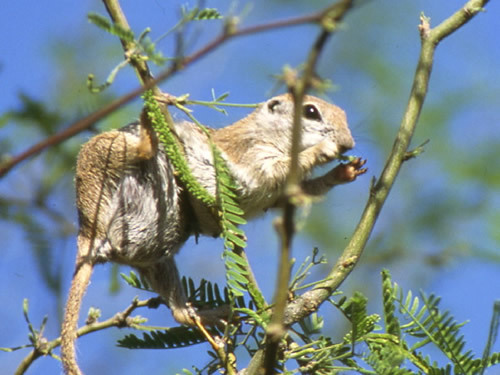 The species name, tenuifolius, means "thin, slender leafs." 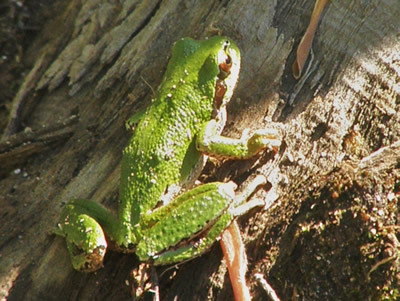 __A frog was driving a taxi when his passenger tapped him on on the shoulder. The frog lost total control of the cab, swerved onto the sidewalk and hit a lamppost. __After checking that passenger was okay, he said, "I'm sorry, but you scared the daylights out of me." __"Sorry," said the passenger. "I wanted to ask you a question." __"Oh, it's not your fault," replied the cabbie. "Today is my first day on the job after 25 years of driving a hearse." "I nearly jumped out of my skin." Click on the images to visit the pages. be seen in the spring that are not around in the fall. 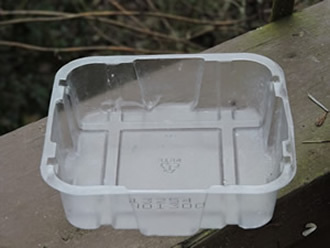 The plastic holders that the suet blocks come in can be very useful. 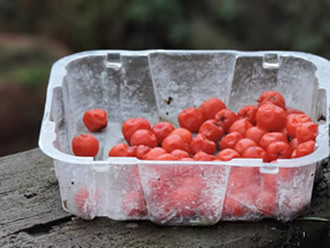 They can be placed outside and hold various types of food such as these berries that were kept in the freezer. 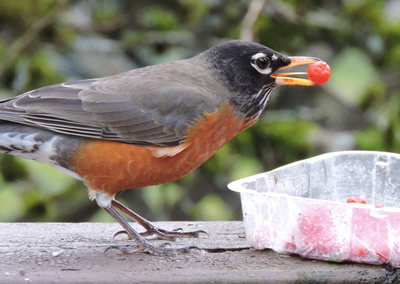 An American Robin calls by for a quick snack. In the project, construct an interesting "bee condo" for solitary bees. 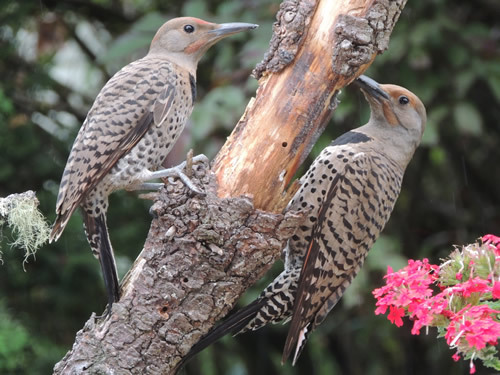 Be sure to drop by the Inn every week to see the latest Picture of the Week. You can also do so by clicking on the image to the left or by clicking here. If you want to see any of the past issues of Whispers, they are available here. 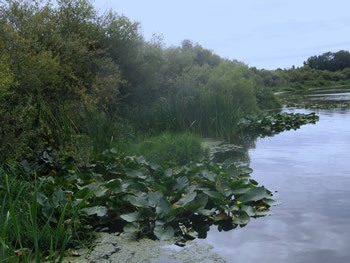 World Wetlands Day is on February 2.
runs from February 13-16 this year. 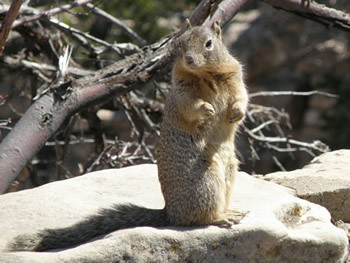 And looking ahead to March, in the United States it will be National Wildlife Week March 9-15. March 21 is World Forestry Day. 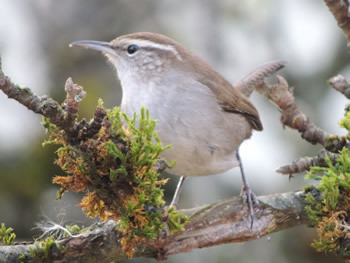 Did you know that there are only two North American birds that have been domesticated? 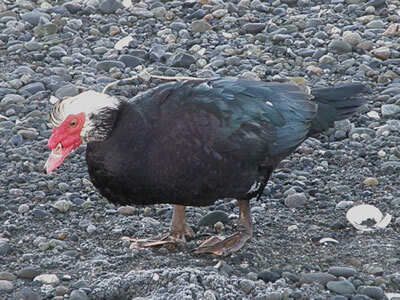 They are the Wild Turkey and the Muscovy Duck, Cairina moschata, shown here. 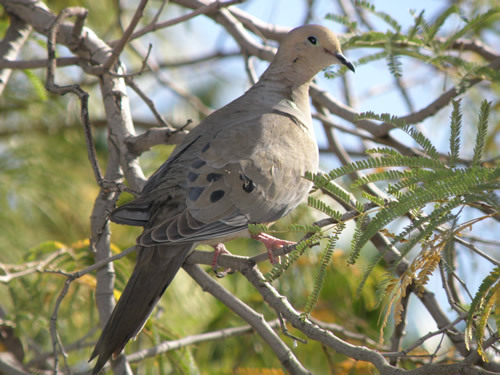 In 1971 Wisconsin designated the Mourning Dove as its official state symbol of peace. 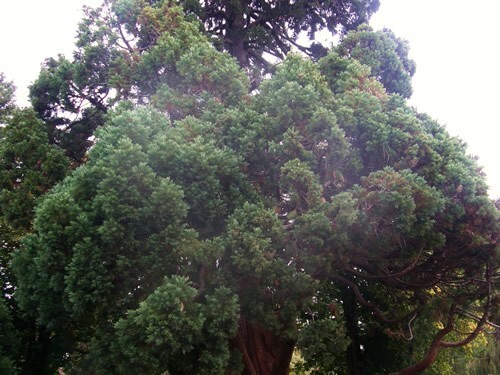 The world's most massive living thing is the Giant Sequoia Tree, Sequoiadendron giganteum. on the western slopes of California's Sierra Nevada Mountains. 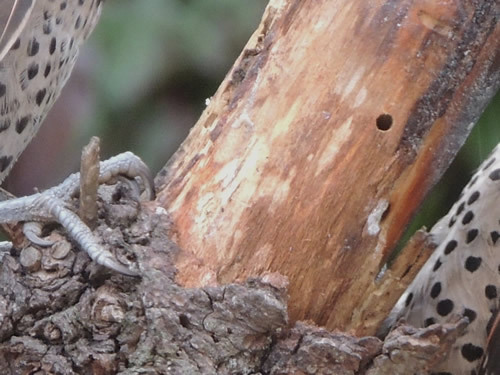 The mystery image is two Northern Flickers spotted together on camera. Thanks for joining us again! We hope you enjoyed this issue of Whispers. We invite your comments and ideas - just drop us an e-mail. See you next month!